We came, we saw, we hunkered down and ate non-stop to give you the best non-definitive, but super comprehensive bucket list of Brisbane’s top restaurants! We searched the high and low-brow and took to the streets (legitimately – we’re now officially strapped for cash) to give you a sneak peek into eateries from all across our great metropolis. Grab the camomile and settle in Brisbane – you’ll be here for a while. Read below to discover the top restaurants in Brisbane. Long before Ari’s botched tattoo, West End’s Bird’s Nest has been giving barbecue grill a whole new meaning with their mouthwatering skewered creations. We heart their chicken heart skewers and refreshing wine list! Second only to mindlessly watching critters in the fish tanks living their best life is this icon’s delicate siu mai – little pieces of serenity amongst the otherwise hectic Sunday lunch crowds. Ready to oodle over the noodles at Hai Hai? This Japanese ramen shop has us falling in love with their delicious tonkotsu with thin straight noodles and topped with egg, nori, negi, black garlic oil, and char siu pork. You can chu-chu ka-chu your way through a million of Chu the Phat’s freshly-steamed duck buns and still be begging for more. They’re just that ducking good. Beccofino is one of the OGs of Brisbane’s pizza game. This Italian restaurants is paving the way with one wood-fired pizza after another. We suggest grabbing a slice of their cacio e pepe dripping in mozzarella, roasted potatoes, garlic, taleggio, pecorino and black pepper. Always a winner in Brisbane’s ramen game is Ramen Champion. Be a champ and get into beef with their spicy champion ramen, a fiery concoction of minced pork, vegetables, and home-made spicy sauce. Few make pizza as heart-warming as Mr Chester, especially when paired with any one of their top-notch wines. Particularly delighting the senses is the Diavolo, their devilishly good pizza topped with passata, smoked mozzarella, garlic, salumi, chilli, and oregano. For stacks on stacks on deck and the best ‘90s playlist you ever did hear, move to the beat and make your way to Hello Please. Special mentions goes to their DIY pancakes stacked with lamb shoulder, pickles, aromats, and hoisin, serving flavours hotter than your 2009 So Fresh Summer CD. Joining the rank of Aussie legends alongside Egg Boy is Happy Boy, where the chargrilled Chinese BBQ always saves the day. 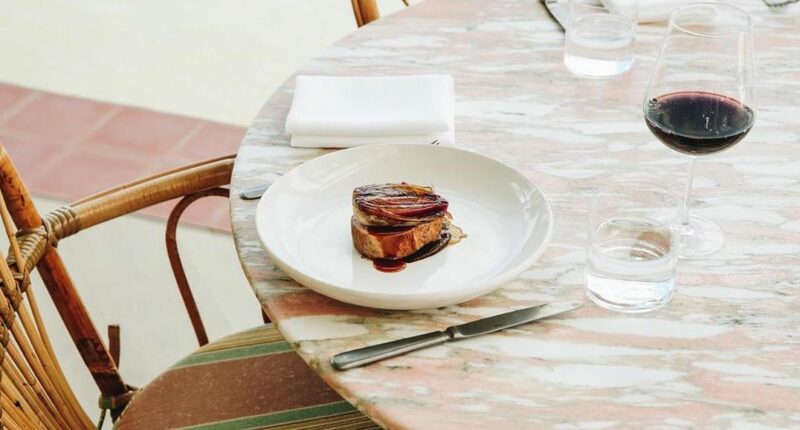 Opt for their half roast duck selection or go full indulgence with their crispy pork belly to dine the night away, and sip on some stunning Aussie wines while you’re at it! Caesar the day at Julius Pizzeria, nestled in the heart of Fish Lane! Always leave room for the gooey goodness that is their Tartufo pizza, piled with melted mozzarella, smoked bacon, portobello mushrooms, stracchino, and truffle paste. Get him to Greek in this South Brisbane restaurant and see them Russell up some seriously good pork belly baklava, plated up with pistachios, dates, pork crackling and date mustard mastiha sauce. Didn’t know cloud nine existed until we walked into Brisbane’s answer to Emerald City and had a taste of Greenglass’s Cloudy Bay Clams, served in a chilli broth with white wine, garlic, and chat potatoes – be warned, though, the menu changes often! A Xiao of hands for how many people love the baos at Little Valley would have the whole of Brisbane up in the air. We love the chilli crab and pork xiao long bao- why not get your pincers on them today? It’s a mouthful (and a delicious one at that) to say, but Greca’s taramasalata is a notch above the rest. Just one bite and you’ll be smashing plates of it as you take in their unbeatable riverside views. Oh to be young, wild, and Libertine. Their French-Vietnamese inspired menu delights all the senses, with their cracklin’ twice-cooked pork belly dressed in cognac and chilli glacé a feast for the eyes as much as your stomach. We know you know all a-bao New Shanghai’s scrumptious dumplings, but ever given a thought to their gorgeous rainbow beef? A kaleidoscope of flavours awaits you in this sweet and sour crispy beef creation. Boasting a gnocchi that boasts cheesy goodness x 4 is Ristorante La Famiglia’s famous Quattro Formaggio, which melts the gnocchi with gorgonzola, asiago, truffle pecorino, and black pepper to taste. Important: gnocchi is only available Tuesdays and Wednesdays! No need to burn the midnight oil (or your fuel tank) to enjoy the city’s twilight treats – this café serves up seriously dreamy waffles packed with strawberries, blueberries, whipped cream, and raspberry coulis right up until 12am! One Fish Two Fish has us counting down the hours until we can get our hands our their fancy pants Thai green curry. All fresh green vegetables, Asian herbs, prawn (or veggie) dumplings, and steamed jasmine rice – no fishy business. Thanks to its location in the Powerhouse, it’s no wonder the meals at Bar Alto always pack a punch. Our sage advice? Opt for their supreme crespelle, a divine ricotta and pumpkin creation dressed in burnt sage butter. As beautiful as a lily is this southside gastropub’s decadent duck breast, brimming with red wine jus and served with parsnip, asparagus, carrots, and sweet onion lychee jam. We’ll be over in a lily bit! This plant-based eatery is the perfect place to veg, preferably with their smoky Jerusalem artichoke, topped with herb foam and zingy lemon broad beans. Make like Mario and kart your way into Luigi’s Italian Restaurant. Rolling into our top pick is their super flavourful meatballs, made with beef, pork, pecorino, pine nuts, and a sprinkle of sultanas to make this typical savoury dish just that little more sweet. Let us be frank – we furt that vegan chorizo was impossible, until Sorellina rolled into our lives with a pizza that forever changed the vego game! Their vegan chorizo pizza, topped with smoked mozzarella, onion, and basil is simply amazing, sister. Can you pay my Billykart bills? We’ve been spending up every day when going back for their chargrilled Mooloolaba swordfish covered with peppers piedmontese. We’ve officially set up camp in front of this suburban delight, hanging out for their white anchovy tagliatelle with white anchovies, garden peas, green chili, and pasta sauce. There’s dimples and dumplings galore at both Fat Dumpling locations, where the one-of-a-kind poached chicken and asparagus dumplings always bring out a smile. Brisbane, you don’t need no man – but you do need the butter naan at A Night in India. One to ghee up next time you’re in Toowong, pair this delicious treat with any of their massamans, biryani, and vindaloos to take your tastebuds on a magic carpet ride. Got nothing to Prova is this great suburban eatery, which serves up a mean wood-fired beef ragu pizza with melted mozzarella, parmesan and basil. We won’t Troy with you Brisbane – prepare to demolish some of the best scampi linguine with tomato, confit garlic crumb, and soft Italian herbs at this Clayfield fave. Kick uber to the kerb and get a bang for your buck at Sichuan Bang Bang, where nothing packs a punch like their kung pao chicken. This delicious dish comes stir-fried with spicy peanuts, capsicum, onion, chilli peppers, and crunchy chow mein noodles. Hop into your tuk tuk and head into Milton for a date with one of Brissie’s best tom yum soups. Rest assured that no spice in left behind in this lemongrass, galangal, chilli, kaffir, and lime hot and sour soup! Duck, duck, bistro. Be a deer, and head to this Auchenflower restaurant to try the truffle duxelles orecchiette. This stunning meal is filled to the brim with moreish oyster mushrooms, speck, and almond gremolata. Gnocch, gnocch, Newstead’s best gnocchi is here! Echoed all across Brisbane is the e’cco bistro famed potato gnocchi, doused in gorgonzola, spinach, and a sprinkle of pine nuts for crunch. This is one Brissie dining stalwart you just can’t miss. Avenging the Great Emu War of 1932 one tartare at a time is Detour in Woolloongabba. Stray from the usual and discover new tastes in their innovatively inviting emu tartare with burnt shallot, chilli, and yolk. Fly me to the moon, La Lune. 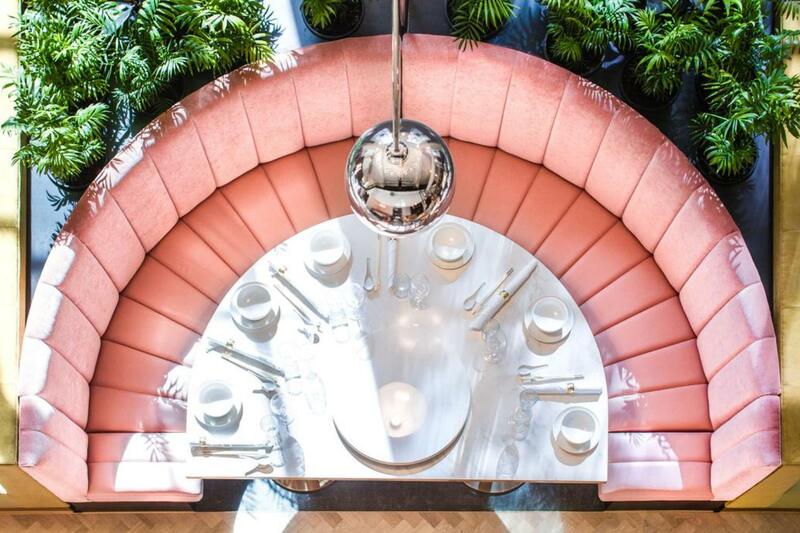 For an out-of-this-world wine and dine experience, look no further than this European wine bar nestled in the heart of Fish Lane. Their emu tartare served with fig and honey mustard vinaigrette alongside a crisp chardonnay? Bliss. Dock in at Wilson’s Boathouse for a seaside seafood feast. 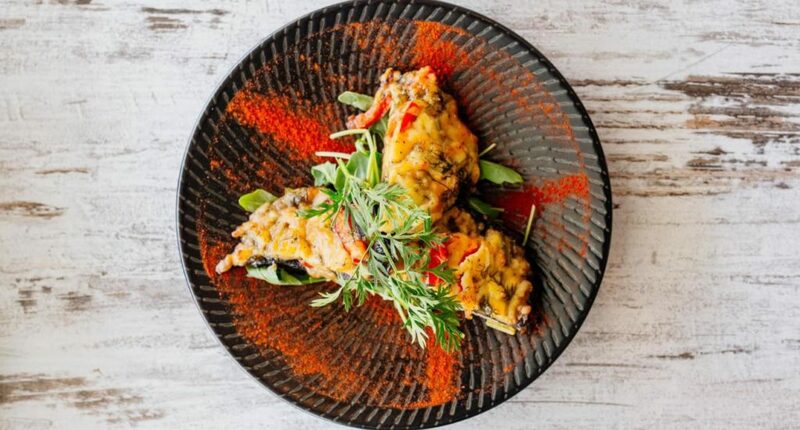 Locals point to this Manly restaurant’s BBQ Moreton Bay bugs as reigning supreme – they come served with pumpkin feta tart and a dash of pea puree. It might be called ARC dining, but you’ll be discovering the secrets behind the circle of life with just one bite of their divine crab pasta with periwinkle and garden gremolata. Are you bready for this? Since day one, Gauge’s avant-garde black garlic bread, made even more perfect with burnt vanilla and brown butter on the side, has been a winner. Head honcho Honto is vying for the top spot in Brisbane’s Japanese foodie scene with their spectacular lobster katsu sandos, with salted cabbage and dill slaw. I wonder if you know, how they make a sashimi taco? For all our sakes, head into Sake restaurant and dine on their delightful unique sashimi tacos, which are packed with avocado, tomato salsa, and a healthy dose of omega 3. Woolloongabba’s classy 1889 Enoteca shows that some dishes are timeless. They knock pasta out of the ballpark with their delicious pappardelle with braised pork and beef, tomato sugo, and authentic Parmigiano Reggiano imported straight from Italia. Gumbo, but make it French… Montrachet’s seafood Bouillabaisse simmered in Marseille stock, tomato, fennel, saffron, rouille and croutons can’t be beat. You’ll sea. (Ren)dang, Heritij. This contemporary Indian restaurant is home to a host of flavours, which you can explore with their Curry Culture, featuring three different curries carefully selected by the chef on the night, served with raita and saffron rice. Flaming galah! Fly into the luxurious Woolloongabba restaurant Corella for a date with their handsome John Dory swimming in creamy saffron sauce, braised witlof, and sea herbs. Pair it with any of their fifty gorgeous bottles of wine and you’re good to go! Ott oh – we’re back again. 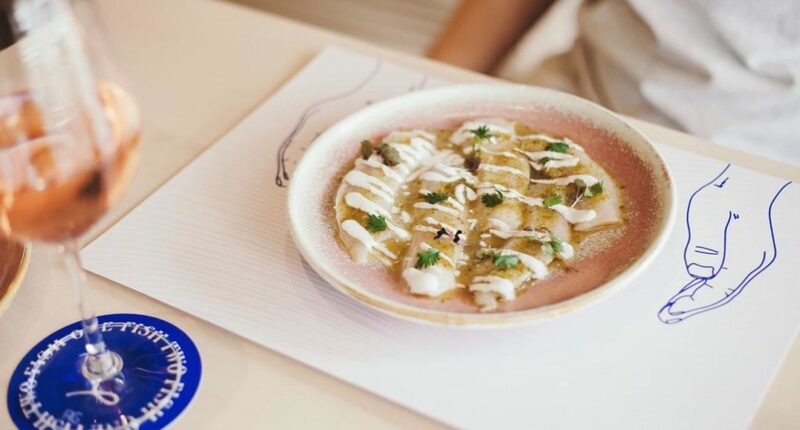 Nothing can keep us away from Otto restaurant’s signature ravioli, stuffed with Moreton Bay blue swimmer crab, mascarpone, and accompanied by black garlic crema. Everyone’s taking a shine to Patina, and how could you not? Watch our eyes gleam over their Darling Downs ribs, dressed to kill in delectable chimichurri sauce. Enjoy fine China and Wu the crowds at Madame Wu, where their decadent piju yu snapper, made Guilin-style in Tsingtao beer is always a show-stopping fave. What’s a list of Brisbane’s best without this two-hatted beauty? Their black opal grain-fed chuck tail especially has us singing their praises, as does their special Trial Fridays events at which you can mingle with their acclaimed chefs and sommeliers! Gotta get back to Black. You can’t miss their luxuriously indulgent Angus Tomahawk, boasting a marble score of 3+ and served with unbeatable wagyu fat roasted potatoes, rosemary, and garlic. We love a little Donna in the summer… autumn, winter, and spring! Their delights always have us going back for more, especially the twice-cooked duck steamed crepe pancakes packed with cucumber, spring onion, and hoisin. At Gambaro, when you sea food you’re gonna wanna eat it! Their deluxe Queensland mud crab comes plated with your choice of lemon and thyme or chilli and white wine. A winery? In the city? You better believe the wine is good and the food is too! Our top pick is their smoked mussels served in nduja aioli on brown rice wafer, best enjoyed with one of their many great wines poured straight from the barrel. There’s Noah doubt about it – Rogue’s bistro The Ark offer of three meat dishes (think tender beef, chicken, and lamb) alongside three delectable sides to share between two is a seriously good time. Just like this list, you’re in for a Longtime at this Fortitude Valley favourite! Prepared to be ensnared by the crispy egg net salad, filled with BBQ chicken, prawns, green mango, and spicy chilli jam. Got a mega craving for delicious Japanese wagyu? No need to lose your marbles – this South Brisbane restaurant has your Bacchus. Experience a whole new world when sampling their supreme 100g Hida Japanese wagyu, served with herb salad and soy sauce. Dare I say the best Peking duck in all Brisbane? Better go and find out! Billy’s crispy take on this Beijing favourite tastes heavenly on its own or wrapped up in shallot crepes, followed by the restaurant’s equally famous deep-fried ice cream. Pack up the van and bring the whole family to Lefkas Tavern for one big, fat, Greek feast! Special attention must go to this restaurant’s moussaka that layers pork and beef mince with eggplant and potato stacked with creamy bechamel sauce. Hitting you right in the Seoul is this Korean bistro’s famous chicken tenders soaked in buttermilk and spicy mayo and sweet chilli dipping sauce. Chuck in some of their equally good kimchi fries and you’re good to go! Here’s one to get you all hot and brothered. The Vietnamese know all about that phở, and few do it better than this Fortitude Valley mecca. Best enjoyed in its most authentic form of sliced beef with noodles – hold the sriracha. Ready to tuck into some Turk? Look no further than the Mediterranean delights available at West End’s Caravanserai! Their shish kebap chargrilled skewers served with quinoa cranberry tabouleh with tomato and pomegranate salsa always steals the show. Have a quail of a time at this long-term Wickham street favourite, chock-a-block filled with great finds such as the deep-fried quail seasoned with good ol’ salt and pepper. Enjoy! Alcohol-soaked pasta? Verve is on the verge of something here… Kick back with their drool-worthy spinach and ricotta tortellini, cooked in brandy for that extra kick, and served with roasted pine nuts, sun blushed tomatoes, and baby spinach, and explore their fab collection of ciders while you’re there! No one does Malaysian quite like Uncle Lai. Case in point: their epic char kuey teow, made with wok-fried flat rice noodles, fishcakes, chive, prawns, beansprouts, Chinese sausage, and a secret sauce – the recipe has been passed down generations! Ooh la La Quinta! This Bulimba Mexican restaurant has us doing the salsa over their signature chunky beef chilli, simmered with prime beef chunks, tomatoes, chilli, spice, and served in fluffy flour tortillas and a dollop of sour cream. - the gourmand who’s surprised you read all the way through!